Supporting democratic progress in Ukraine. On the eve of International Women’s Day on March 8th, IFES Ukraine would like to take this time to stress the importance of women’s inclusion in all aspects of political life, particularly in Ukraine. In a democracy, it is crucial that representatives to elected office reflect the diversity of the citizens they represent – half of the population simply must not be absent and underrepresented in political life. Diversity and equality in representation benefits all citizens, and makes us all stronger. Since independence from the Soviet Union in 1991, the representation of women in elected office in Ukraine has been critically low. Currently, there are only 50 women representatives in the Verkovna Rada, Ukraine’s parliament, making up less than 12% of the legislative body. Ukraine currently ranks 156th among 193 countries of the world in terms of women’s parliamentary representation – one of the lowest rankings in Europe. There is currently no effective mechanism that would correct this fundamental inequality. It is critical that we work together with all stakeholders to implement effective measures that guarantee and ensure the representation of women in elected office and support effective instruments to guarantee women’s political rights. We ask that stakeholders act now to register and promulgate a gender quota into law that will effectively guarantee a significant increase in women’s representation in the Rada. 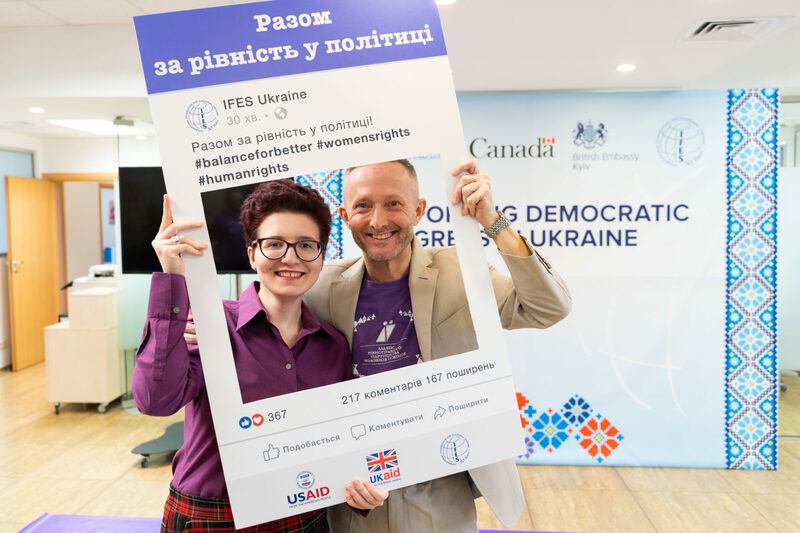 With parliamentary elections on the horizon, it is crucial for all citizens of Ukraine that the issue of women’s representation in elected office is addressed swiftly and effectively to ensure a more democratic and equal Ukraine for persons of all genders.